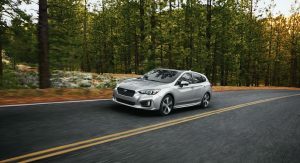 Subaru announced the pricing, trim levels and equipment of the 2019 Impreza hatchbach and sedan, whose sales are set to commence this summer. 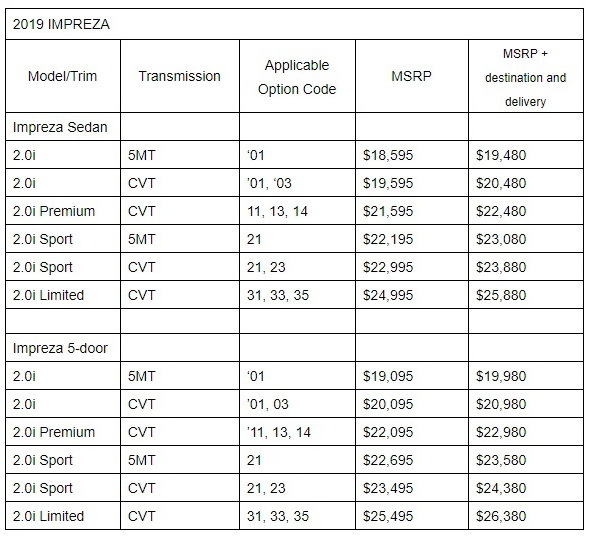 For 2019MY, the cheaper version of the Impreza is slightly pricier -by $125- than last year, carrying a starting price of $19,480 (including destination and delivery fees). The range structure remains the same, meaning four trim levels to choose from: 2.0i Base, Premium, Sport and Limited. 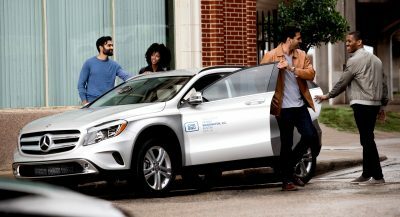 All models are powered by the company’s 152hp 2.0-liter flat-four engine which is either paired to a five-speed manual or a CVT that features a seven-speed manual mode. 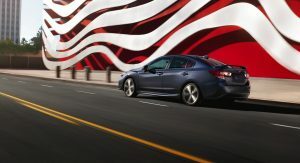 Subaru claims that the 2019 Impreza can return up to 38 mpg (6.2 lt/100 km) on the highway and travel more than 450 miles (724 km) on a full tank. 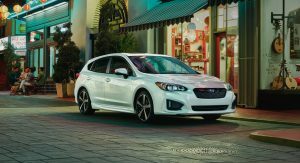 CVT-equipped models can be fitted with Subaru’s EyeSight Driver Assist Technology that includes a 4.2-inch digital display in the instrument cluster, overhead console shower light and a tire pressure monitoring system for $845. 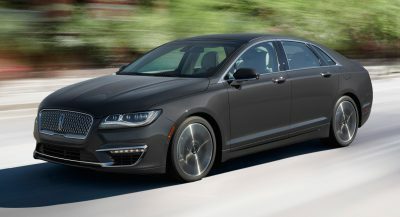 A 6.5-inch infotainment system with Android Auto and Apple CarPlay is standard, with an 8.0-inch Starlink system offered in higher trim levels. 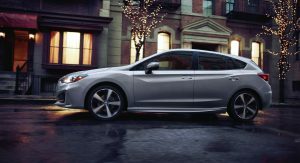 If you want the sportier Impreza available, then the choice is pretty obvious: the Impreza Sport, which is available in both sedan and five-door hatchback bodystyles. 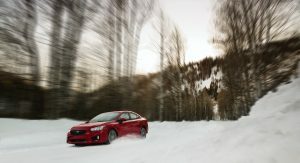 It offers a more fun-to-drive experience, thanks to its model-specific suspension tuning, 18-inch machine-finish alloy wheels, a standard factory-installed short throw shifter for manual models and Active Torque Vectoring. 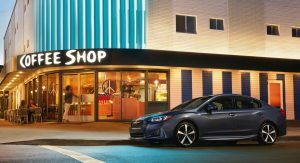 The Impreza Sport can be distinguished by the black-finish front grille, LED daytime running lights, body-color rocker panels and more. 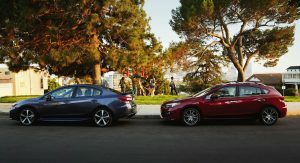 The cabin of the Sport trim level also gets unique black fabric upholstery with red stitching. 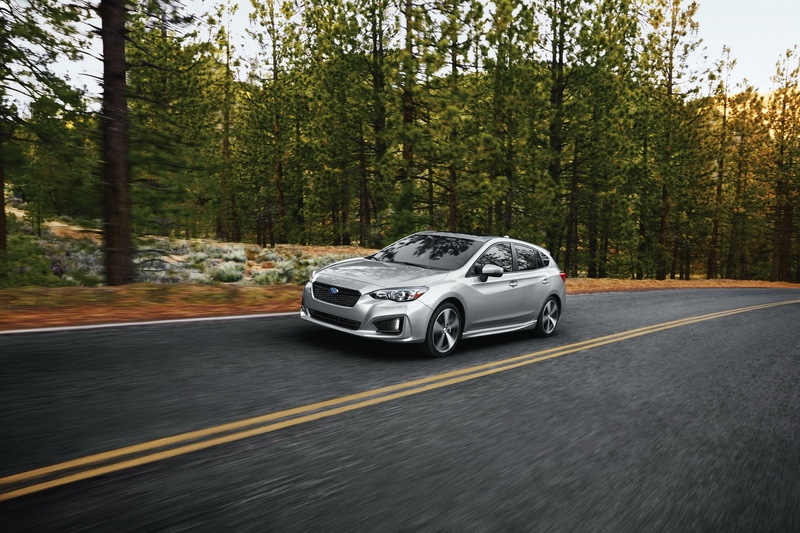 The most luxurious version of the 2019 Impreza is the Limited, featuring things like a leather trimmed interior, LED headlights, chrome exterior trim and 17-inch alloy wheels. 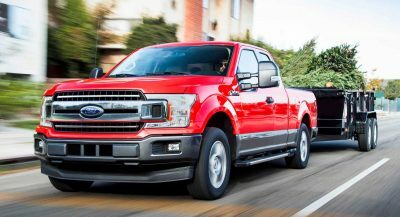 Limited models also come equipped with the EyeSight system that incorporates systems like an active cruise control, Automatic Pre-Collision Braking and more, as well as High Beam Assist and Reverse Automatic Braking. I don’t like how the plastic nose part fits up against the hood. That’s just asking for quality control issues. No need to worry. Most of the cars are done this way, even if it might seem that there is a separate plate, there actually isn’t. 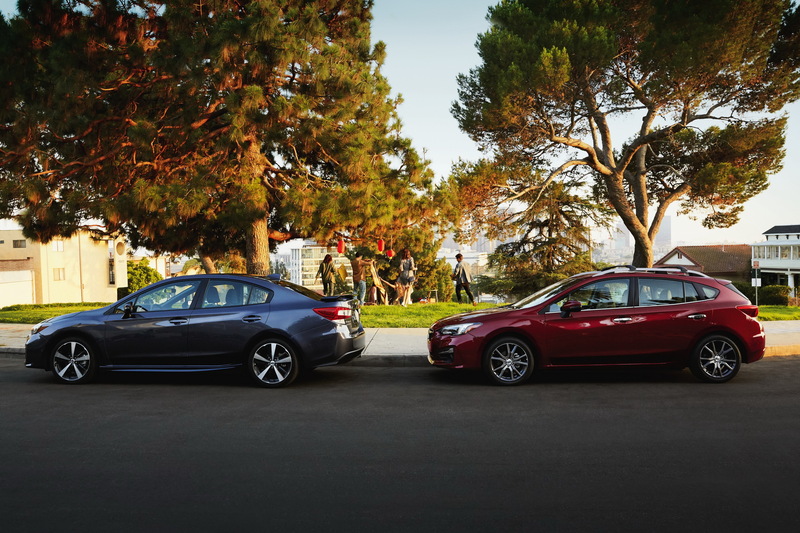 For example, all Mazdas have the front bumper made as one plastic piece. 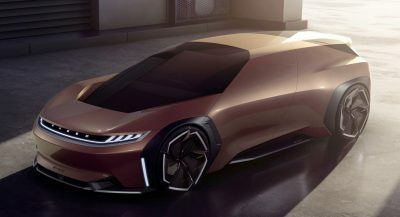 Including the piece lined up with the bonnet. Some mfrs. seem to do a better job of it and getting things to line up better as far as fit and finish are concerned though. 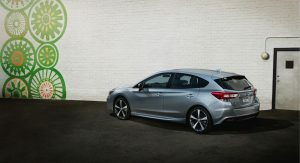 Another 40 hp or so would make the Impreza a lot more appealing. Especially in the first picture it looks like a bad Japanese from 1980s. needs an extra 50 or 60 horses under the hood..